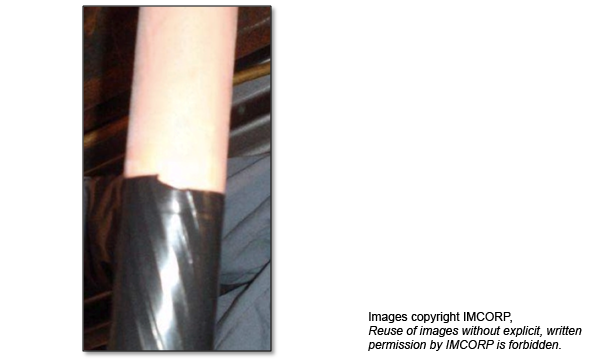 This cold shrink joint was a part of a feeder cable system at a wind farm site that failed to pass IEEE 404 specifications. Even after the Factory Grade® assessment found this joint to be substandard, the cable system's contractor was convinced that the system was in good working order. The contractor cut the joint out of the system and sent it back to the manufacturer for a second opinion. The manufacturer removed the outer insulation to investigate the nature of the purported joint defect. They found a non-radial cutback, confirming the initial finding. As a result, the contractor was found to be at fault and recommended to be retrained.